Palin v. Griffin – MEOW!!! 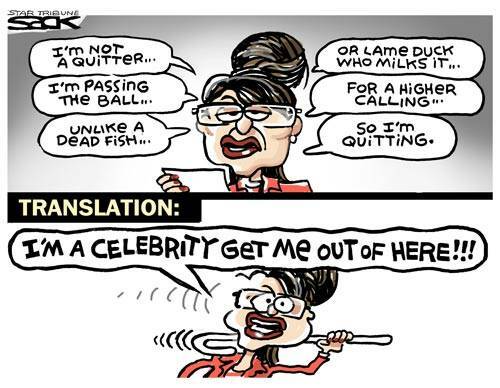 The ever-pesky Sarah Palin has managed to get herself into another cat-fight. This time she has challenged comedian Kathy Griffin to “bring it on”. You might recall that over the last few years, Griffin has poked a lot of fun at the Palin family. First she ridiculed the former ex-quitting half-term Governor of Alaska. After that, she tore into the born-again virgin daughter Bristol. Then, this winter, she promised to take down daughter willow. Now it has been announced that Griffin will play a Palin-esque Tea Party type in a guest spot on the hit television series “Glee”. Them sounds like fightin’ words to Lynnrockets. 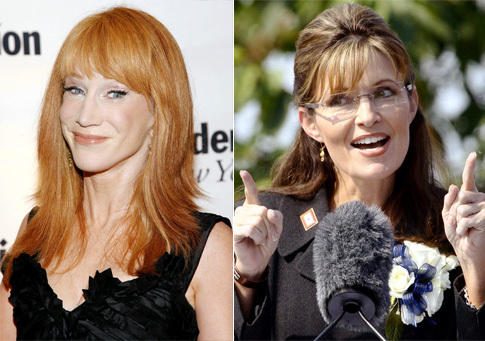 It could be billed as “The Thrilla in Wasiila” featuring Kathy “The Has-Been Comedienne” Griffin versus Sarah “The Has-Been Politician” Palin. Stay tuned, because this is a bout in which the fur will be flying.